By the end of the year we have held 5 HANDGUN and 5 RIFLE shoots. We realise that there are new shooters shooting against intermediate shooters and often even against Protea team shooters, while this can make a new shooter think he stands no chance, it is not true. 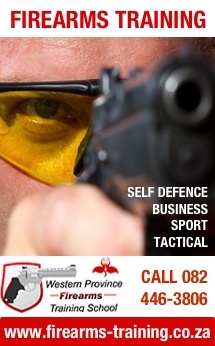 We have a system in place whereby a shooter is ranked into one of three CLASSES. We have the GOLD class for the top shooters, the SILVER class for the advanced and intermediate shooters and the BRONZE class for new shooters . The rankings are worked out at the end of the shooting year and you automatically move up or down classes according to your performance. The ranking system allows a new shooter to win his class in an event and gives a good motivation to try shoot up into the next class. In order to qualify for medals and trophies at the end of the year, you do have to take part in at least three of the events for the discipline. This is really not hard to do as we shoot a complete set each second Saturday. Those dedicated shots who shoot more than three shoots have the advantage of having their three highest scores going towards their year total. This also allows for those “oops” shoots where we really mess up, these get dropped and your good scores go forward. If you do not do the required three shoots, you still fall into the ranking order, but are not eligible for medals and trophies, this we do to try encourage shooters to be dedicated members. On the second Saturday of December each year we host a fun day and thereafter the annual MSA prize giving. Here trophies are awarded for the highest scores overall and medals are given to the top three shooters in each class. This is really important to note because a lot of shooters try an event out and don’t do too well the first time then drop out, please keep at it there is recognition for you in the BRONZE class and it is only by trying that we succeed. After the prize giving there is usually a great meal and lucky draws. This is really a family day and the events hosted at the fun day are fun events the whole family can take part in. Trophies are also awarded for the best woman overall, veteran overall, junior overall and classes distinguish pee wee and minor as well. Many shooters feel they cannot compete as they are waiting for licences or do not have the correct equipment. We can honestly say that we are a nice bunch of guys and I have yet to see somebody refuse to loan a firearm (under supervision) to help somebody who wants to try an event out. Many of our top shooters started out loaning equipment to compete and have slowly build up their own array of firearms. Please just chat to the guys on the range or to the RO on duty and he will point you in the right direction to get you set up with somebody who will help out. We all love our sport and will really go the extra mile to assist new shooters.